Darn you Martha. I want to dislike what you do, what you sell, what you write. But every time, I am delightfully surprised by the quality of your products and the creativity of your work. My husband and I recently realized we were sleeping in a room with hospital white walls. 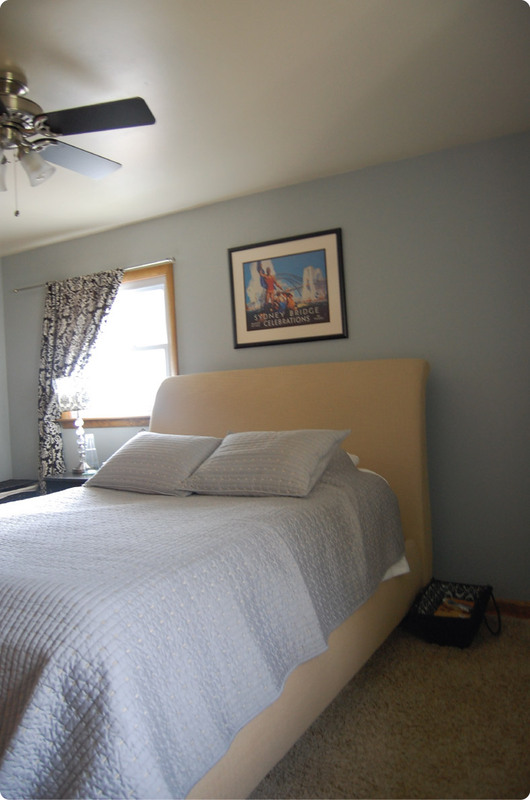 Our bedroom was one of the first rooms we completed with furniture and art, however, it never looked complete. 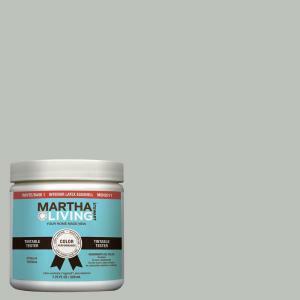 Enter Martha Stewart Living paint in Driftwood Gray. Okay, so it isn’t a bright burst of purple, but this subtle gray just gives added warmth to the room and allows for the black furniture to pop out from the walls. This paint went on with such ease. No dripping and only two coats! Next time I look to paint, I’ll be heading back to Home Depot for Martha’s. 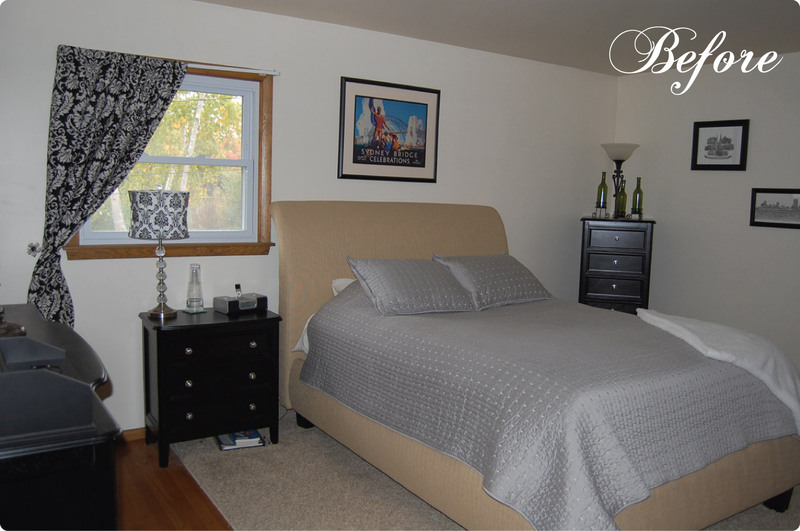 We typically use Behr and have used a few others and this is by far the best quality. 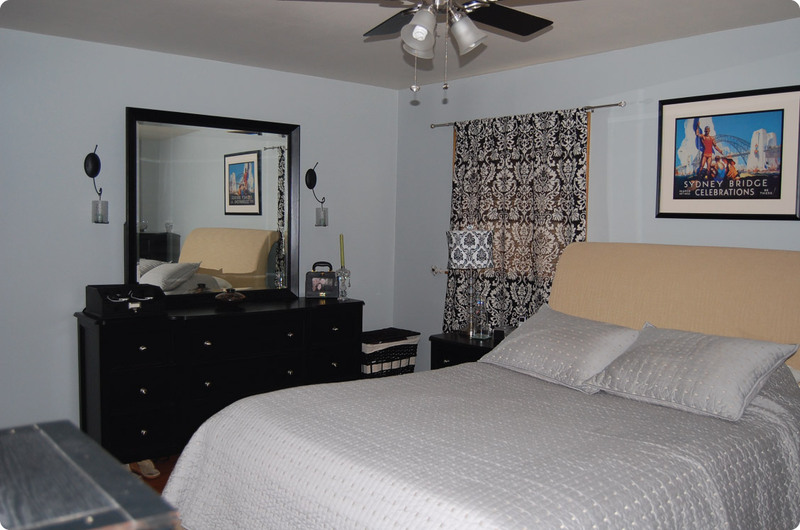 I am looking to add a few pops of color to our room with maybe a vase or some colored bed sheets. I am thinking deep teal or plum. Thoughts? Paint really does make a world of difference! My husband and I moved over the summer and every wall is stark white. I’m dying to get some paint on the walls – at least in our bedroom! Love your curtains too. The bedroom looks great! I love the gray. However, I also love white walls… we recently redid our bedroom with white walls, white bedding, white curtains, and wood furniture with oriental and lambskin rugs and a few colorful accents – we find it much more soothing than the dark chocolate brown that was there when we moved in (we also have a tiny bedroom so it opens things up a bit). I like the olive idea! And I agree – white done right can be beautiful. Congrats on the paint job. I also vote plum – what a warm pop of color that would offer. Might I offer a suggestion, looking at your bedroom? 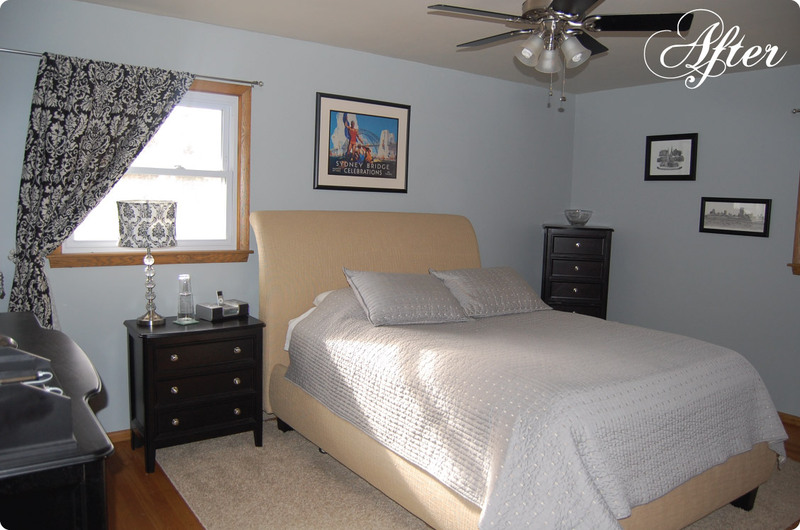 What if you were to angle the bed in the corner where the lingerie drawer (I think) is, with the foot angling toward the doorway? 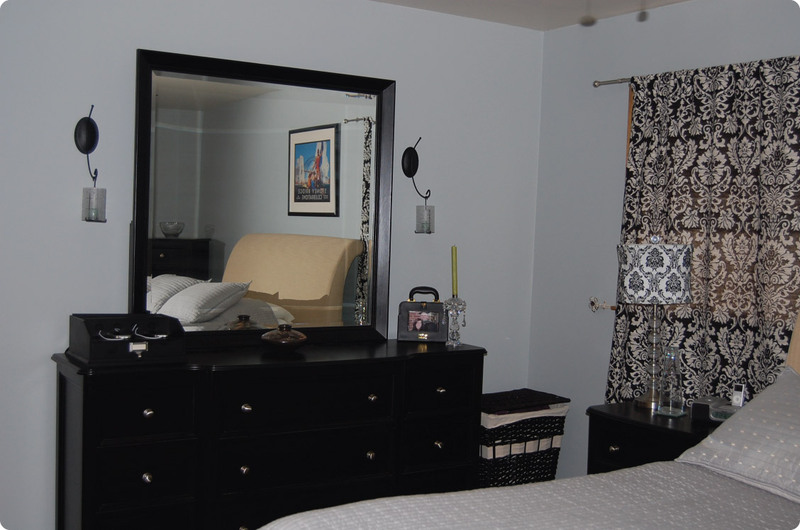 With such a lovely headboard and the nice, dark furniture, it might make the room seem all the more luxe.